Editors note: This article is part of a five-part package dealing with operating costs in 2017. 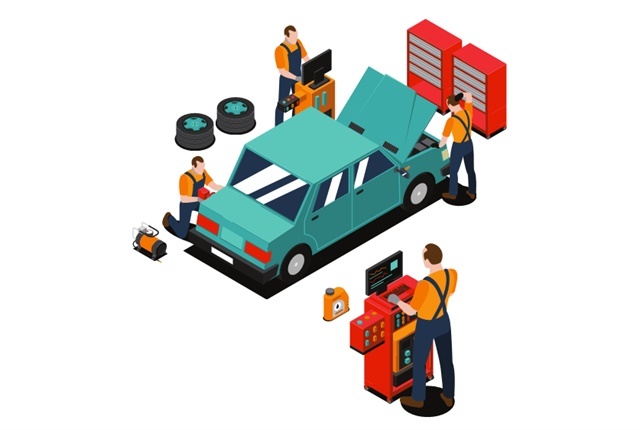 Read related articles that offer and in depth look at fuel spend, tire prices, fleet maintenance, and preventative maintenance. Calendar-year 2017 marks the fifth consecutive year that fleet operating costs have remained flat, primarily due to the continuation of stable gasoline and diesel prices, which offset higher maintenance labor costs and price increases for replacement tires. 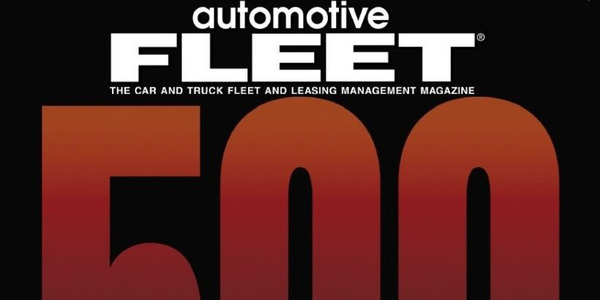 This, along with other findings, are revealed in Automotive Fleet’s 26th annual operating cost survey, and are based on data provided by eight survey partners including ARI, Donlen, Element Fleet Management, EMKAY, Enterprise Fleet Management, LeasePlan USA, Merchants Fleet Management, and Wheels Inc. 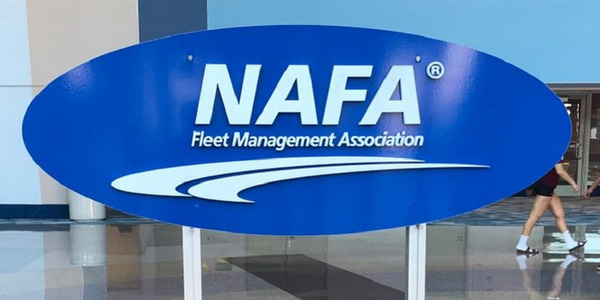 This year’s survey, which had the largest-ever industry participation, is based on the analysis of actual operating costs incurred by 1,441,842 vehicles operated by commercial fleets, which are managed by these eight fleet management companies. Calendar-year 2017 marks the fifth consecutive year that fleet operating costs have remained flat, primarily due to the continuation of stable gasoline and diesel prices. Fuel represents approximately 60% of a fleet’s total operating costs, so the lower price per gallon of fuel has had a dramatic impact on overall fleet costs by offsetting other increases in operating costs occurring elsewhere. 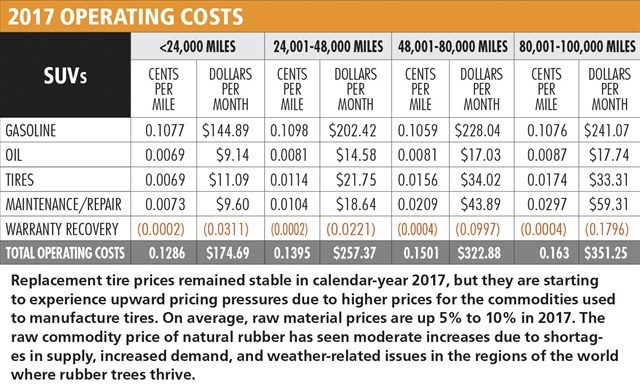 Replacement tire prices remain stable, but are starting to experience upward pricing pressures due to higher prices for the commodities used to manufacture tires, in particular, natural rubber. 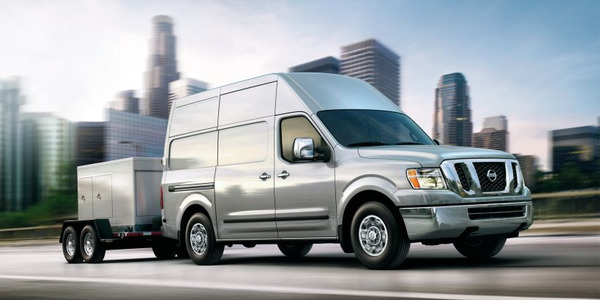 Fleet maintenance costs have remained flat over the past 12 months, with the primary factor being increased overall vehicle quality. 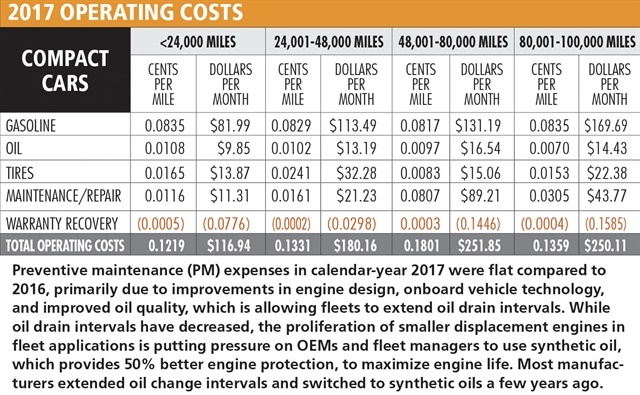 Preventive maintenance (PM) expenses in calendar-year 2017 were flat because of extended oil drain intervals. The stability of fuel pricing over the past 30 months has been the No. 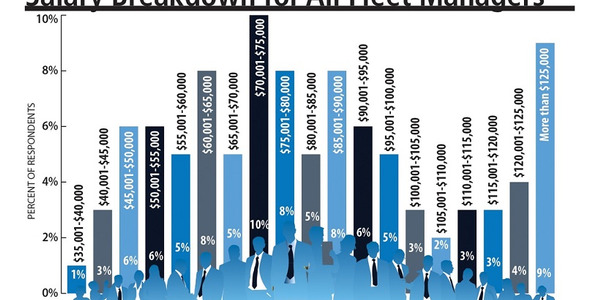 1 factor contributing to keeping fleet operating costs flat. 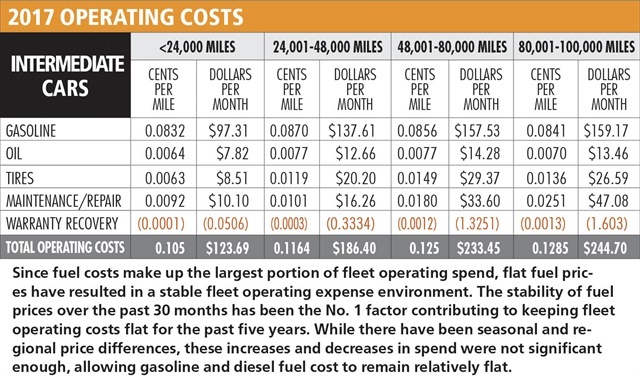 Fuel represents approximately 60% of a fleet’s total operating costs, so the lower price per gallon of fuel has had a dramatic impact on overall fleet costs by offsetting other increases in operating costs occurring elsewhere. 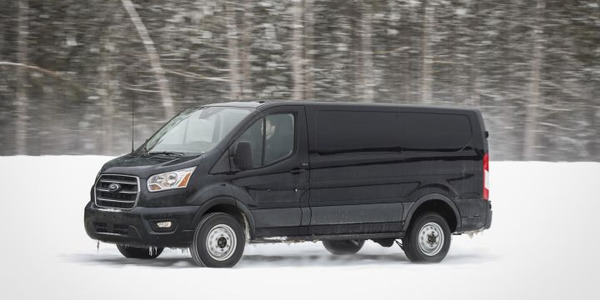 Fleets are rightsizing their vehicle selectors to take advantage of fuel-efficient technologies, weight reduction measures, higher-speed transmissions, and appropriate drivetrains to meet their business necessities. 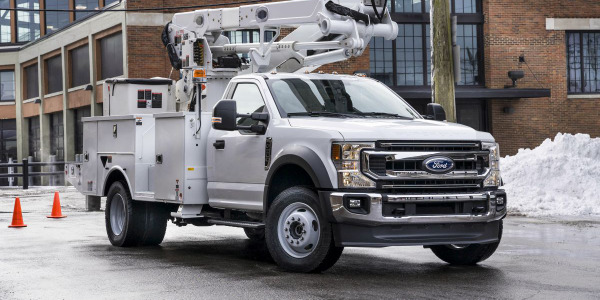 The focus continues to be to acquire the most fuel-efficient models that can fulfill the fleet requirement. In addition, new-model vehicles tend to have higher mpg ratings than predecessor models. 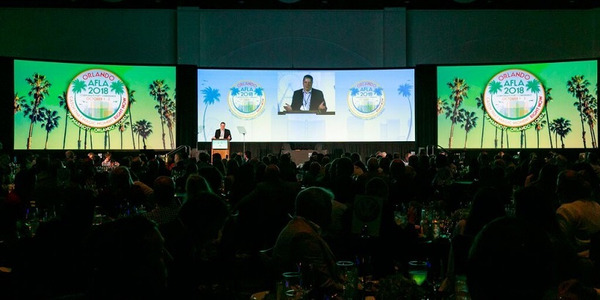 Also, the increased implementation of telematics systems has also resulted in improved route optimization and easier identification of drivers who are engaging in driving behaviors that decrease mpg. 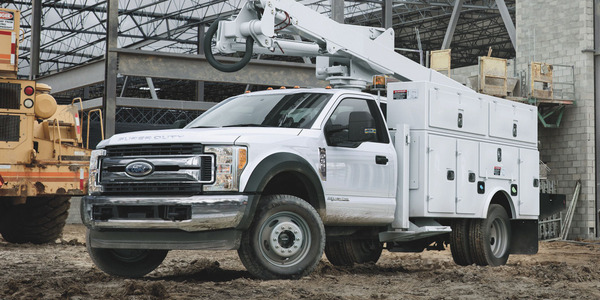 Lower fuel prices also allow fleets to acquire larger vehicles without negatively impacting overall operating costs due to their reduced depreciation and lower fuel costs. However, lower fuel prices are not beneficial to all fleets. 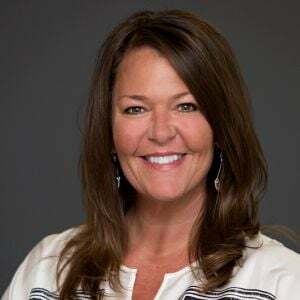 “Fleets in the oil industry, have been even more focused on cost reduction due to lower crude oil prices, which impacts overall corporate revenues” said Chad Christensen, senior strategic consultant for Element Fleet Management. What is the forecast for per gallon fuel prices in calendar-year 2018? 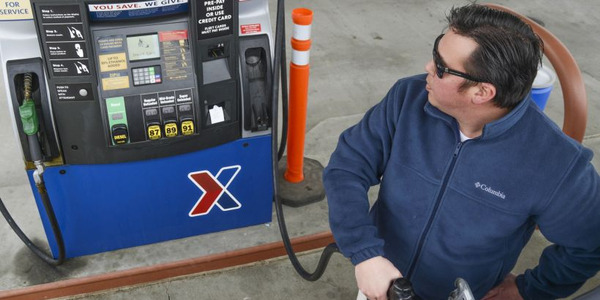 As many have learned through experience, fuel prices are impossible to forecast with certainty, and are influenced by a number of external variables, such as macroeconomic activity, geopolitical dynamics, and domestic supply/demand. Most fleet management companies use the U.S. Energy Information Administration (EIA) of the U.S. Department of Energy forecasts for internal planning and external fuel price forecast dissemination. The EIA projects fuel costs to rise modestly over the next 12 months. The forecast for CY-2018 also predicts that global supply and demand for oil will remain at today’s levels, which will help exert downward pressure on fuel prices. In addition, the percentage of imported oil continues to decline with the increase in U.S. domestically sourced oil. This has helped to lower price volatility that in the past was caused by political instability in foreign oil-producing regions. Replacement tire prices remain stable, but are starting to experience upward pricing pressures due to higher prices for the commodities used to manufacture tires, in particular, natural rubber. Raw material prices increased 5% to 10% year-to-date in calendar-year 2017. Another factor exerting upward pressure on replacement tire costs is the ongoing trend to larger, more expensive, diameter tires and unique tire sizes. With the larger tire sizes on vehicles, the wheels are more prone to damage from pot holes and other road hazards. The trend to larger diameter tires was started in the retail market by consumers who wanted a better look for their vehicle by having a larger tire/wheel assembly to fill their wheel well. The trajectory for replacement tire prices in 2018 is upward due to forecast of ongoing higher commodity pricing, which exert pressure on tire OEMs to maintain margins as their production costs increase. Fleet maintenance costs have remained flat over the past 12 months, with the primary factor being increased overall vehicle quality. 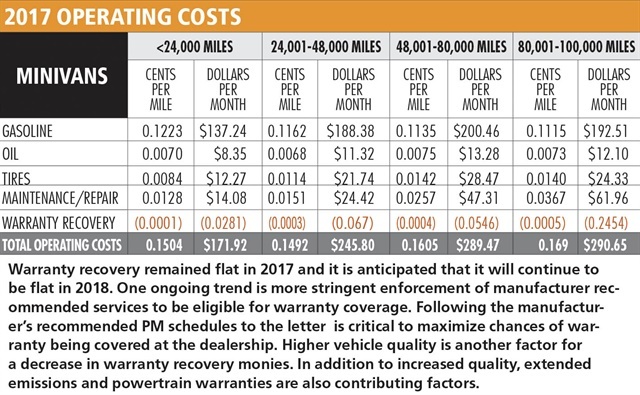 In addition, extended preventive maintenance (PM) intervals have contributed to lower maintenance costs for fleets. But other areas in the fleet maintenance spectrum are exerting upward pricing pressures, such as rising labor rates, especially in high cost-of-living markets. But, maintenance still represents a relatively small segment of overall operating costs; representing just 10% of total operating costs. In order for higher maintenance costs to have a dramatic impact on total operating costs, it would require far more significant increases than what is anticipated in 2018. 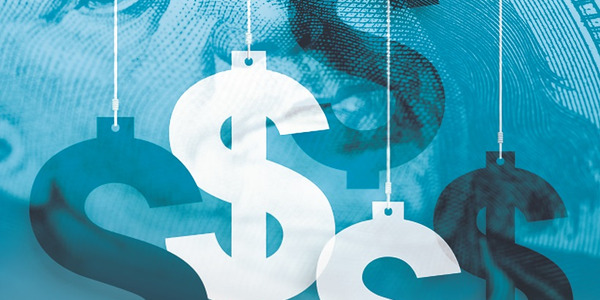 The following four articles provide an in-depth examination of 2017 operating cost trends and a forecast of expenses for the 2018 calendar-year.